By Melissa Lennig on November 23, 2014 28 Comments. This content contains affiliate links. As an Amazon Associate I earn from qualifying purchases. 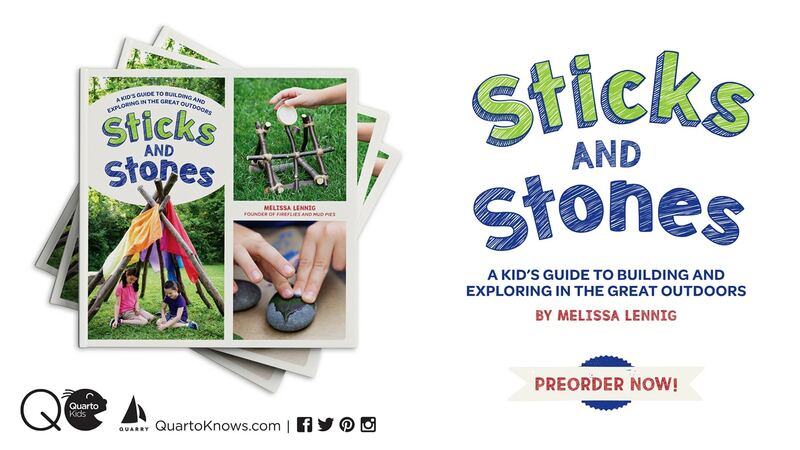 This holiday season, I’m excited to participate in a collaborative Story Book Advent with 30+ talented kid bloggers. We are each featuring a holiday-themed children’s book and sharing a craft, activity, or recipe to accompany it. I have chosen to feature Rudolph the Red Nosed Reindeer by Robert L. May. Shared below are highlights from the story and a holiday nature craft tutorial. I purchased the book, Rudolph the Red Nosed Reindeer by Robert L. May, several years ago to enrich my bullying prevention curriculum at school. 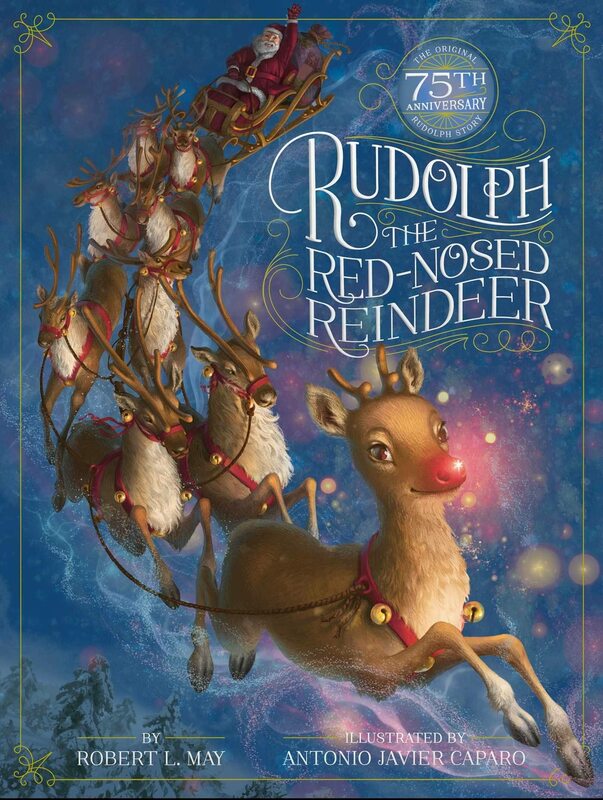 Rhyming couplets and beautiful artwork illustrate the well-known story of Rudolph. As we read the story together, my children and I discussed teasing, helping others, and treating other people the way that you like to be treated. Robert L. May is the original creator of the Rudolph story. In 1938, May worked as a copywriter for Montgomery Ward & Co. in Chicago. His supervisor asked him to write a Christmas story for a store-wide giveaway. May’s story was distributed to nearly two and a half million children that year! 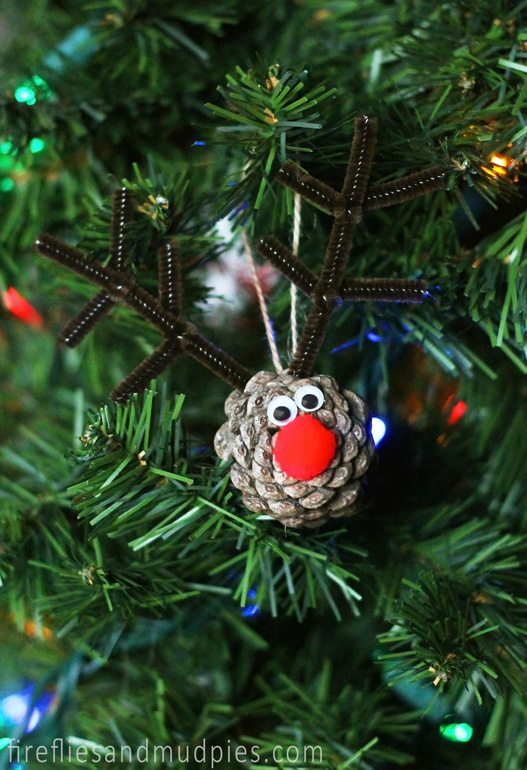 You know Dasher and Dancer, but do you recall Rudolph the Pine Cone Reindeer? My kids loved creating these simple, adorable Christmas ornaments. 1. 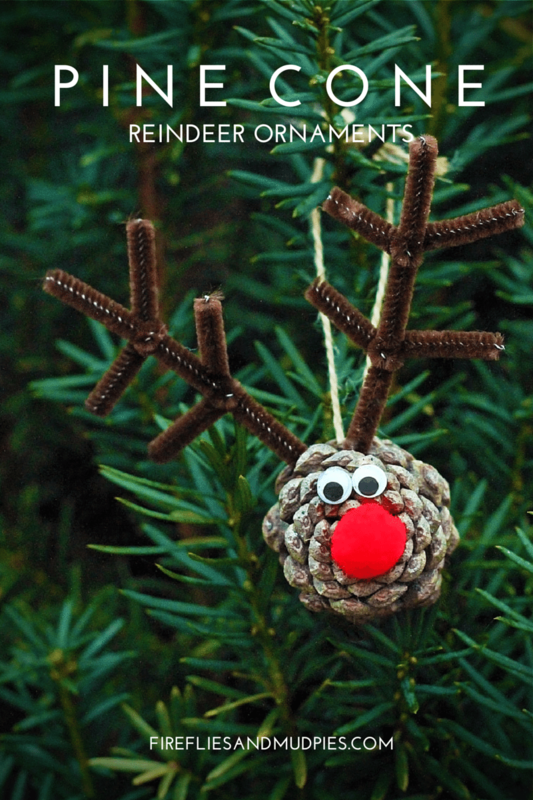 As your child is gluing the reindeer’s eyes and nose onto the pine cone, take a moment to prepare the reindeer’s antlers. 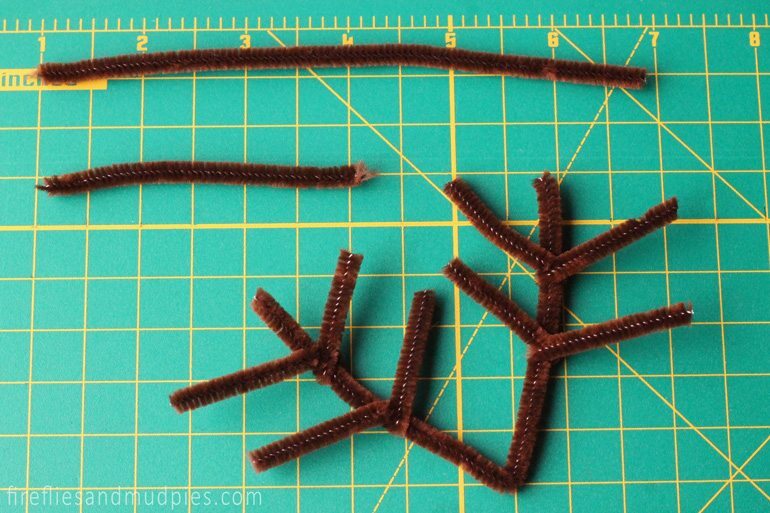 Simply bend a brown pipe cleaner in half and cut at the fold. Fold one of the cut pieces (about 7 inches) into a V. Cut the other half into 3-4 inch pieces to create the size needed for the rest of the antler. Feel free to use the image below as a guide. 2. 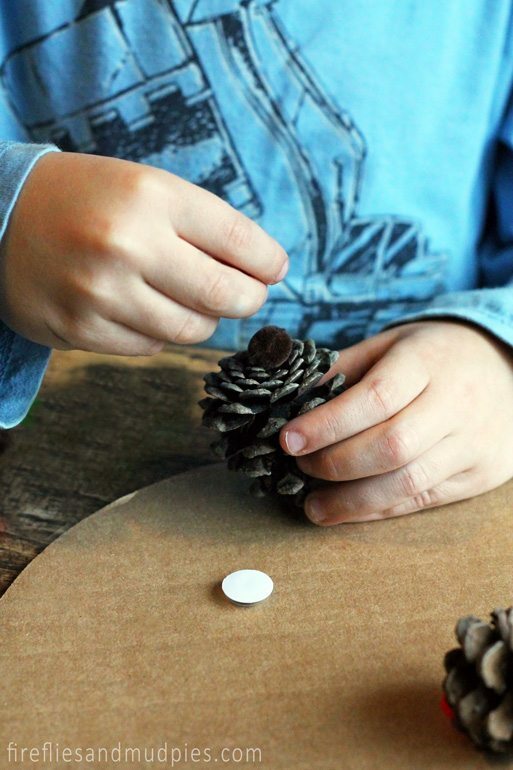 Invite your child to glue and press the antlers into the pine cone. Allow the ornament to dry completely before wrapping twine around it for hanging. What’s your favorite holiday story? Stop by the Fireflies and Mud Pies Facebook Page to share!